Xolo has officially launched a new smartphone Q600s which runs on latest Android 4.4.2 Kitkat OS. 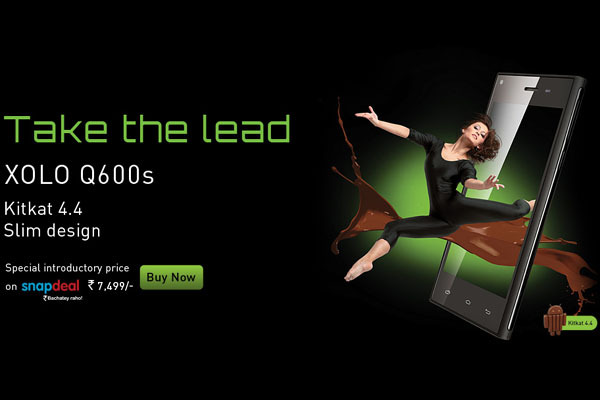 The phone has appeared for first time on snapdeal and after few hours it has gone live on official website. Powered by 1.2 GHz Quad Core BCM23550 Processor and Videocore IV GPU the phone features 4.5 inch qHD IPS capacitive touch screen display. It has 1 GB RAM and 4 GB internal memory which is expandable up to 64 GB with microSD support. Samsung Galaxy Alpha to be released in UK?